By donating a cookstove to a Ugandan family in need for every Big Chill appliance purchased. We're delighted to announce that the project was a success! Big Chill and our customers helped Cool Effect provide approximately 830 efficient stoves for Ugandan families in need. The Cool Effect project promotes the manufacture and distribution of improved cookstoves, reducing fuel consumption and reducing emissions of globe-warming carbon into the earth’s atmosphere. The project is also having a positive effect on the local community too. 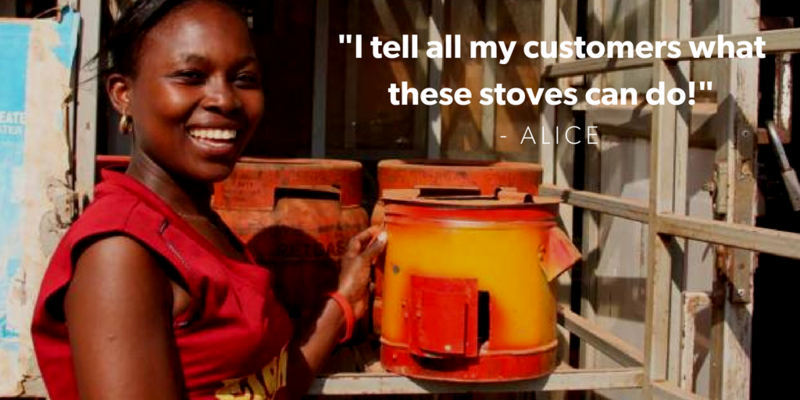 Alice, a local Kampala business owner, now sells the cookstove in her shop.